Feel like you're running around in circles? 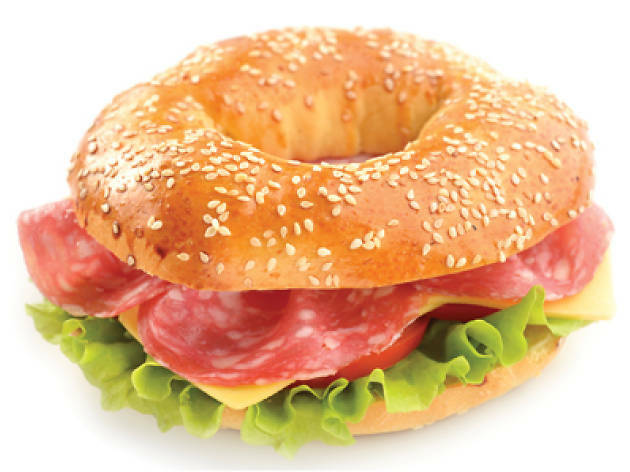 We've rounded up the best bagels in Hong Kong to satisfy your cravings. This bagel specialist brings eight handmade doughy variations of the circular bread to Hong Kong, including poppy seed, blueberry, and cinnamon and raisin. Our favourite fills are the spicy hummus with feta ($60) and the New Yorker with Pastrami US beef ($60). You can order online, and with handy pick-up points around the city as well as a speedy delivery service, Bagoes are the greatest thing since… well, sliced bagels. 5334 0188; bagoes.hk. Tucked away in between Sheung Wan and Mid-Levels, this simple-yet-modern café is a popular spot to get away from the buzzing lifestyle in Hong Kong. The generously filled house-cured salmon bagel with freshly mixed greens and dill cream cheese ($90) is available exclusively for lunch. There might be a bit of a queue on the weekend but we assure you it’s worth the wait! 72 Po Hing Fong, Sheung Wan, 6716 7005; cafedeadend.com. Billing itself as Hong Kong’s first authentic New York-style deli, Main St Deli is one of the few places in the Yau-Tsim-Mong area that serves bagels. 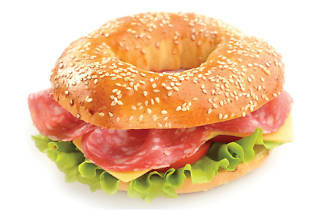 The high-end café is perfect for those who are after a clean and comfortable environment to indulge in their bagels. The signature bagel here is the Nova Scotta Smoked Salmon Bagel ($168). Although on the pricier side, the ambience and service provided makes it worth it. Lower Lobby, The Langham, 8 Peking Rd, Tsim Sha Tsui, 2132 7898, hongkong.langhamhotels.com. This speciality bakery, with branches in Sheung Wan, the Gold Coast and Stanley, offers a wide selection of sweet and savoury pastry goods. They bake bagels daily (plain for $15) and serve with a variety of fillings, including cream cheese ($46), smoked salmon ($60) and veggie cream cheese ($55). A tasty treat for anyone looking for a chewy encounter. Various locations inc 24 Square St, Sheung Wan, 2806 2132; saffronbakery.com. Schragels has brought its well-guarded bagel recipes from the Big Apple and across the Pacific. The bagel sets are baked daily, made to order and delivered piping hot. An ideal solution for hungry lunchtime workers. We recommend the Mr Shragels Knows Best set: a dozen mixed bagels, with scallion spread, lox platter with capers and red onions ($670). Gather a few colleagues and order a team lunch. 17 Po Yan St, Sheung Wan, 9730 6727; schragels.com. In the district of Quarry Bay sits a hidden gem called Yo Bago, which holds what could be the most extensive menu of the breads in Hong Kong. People travel far and wide to get their bagel fix here. If you’re looking for something a bit different, the Yo Bago Cheesesteak ($60) is for you, as it holds a 125g rib-eye steak in a freshly baked roll. If you’ve got a sweet tooth then the blueberry bago is a must try. Bagel heaven, we say! 80 Pan Hoi St, Quarry Bay, 2561 7700.